Developed by the Saskatoon Public School Division, Saskatoon, Saskatchewan, Canada. Published in 2014 with Amazon.ca. Objectivity: The Opiate of the Academic? 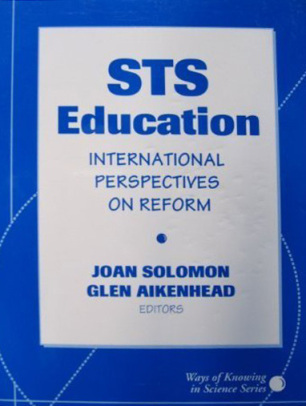 Chapters in J. Solomon & G. Aikenhead STS Education: International Perspectives on Reform (1994). Teachers College Press, New York. Chapter 5: What is STS Science Teaching? Chapter in David Kumar and Daryl Chubin (Eds.) Science, Technology, & Society: A Source Book on Research and Practice, (2000), Kluwer Academic Press, pp. 49-89. Chapter in R. Millar, J. Leach, & J. Osborne, Improving Science Education: The Contribution of Research, (2000). Open University Press, UK, pp. 245-264. Chapter in C. Bryant, M. Gore, & S. Stocklmayer (Eds. ), Science Communication in Theory and Practice. (2001) Kluwer Academic, Netherlands. pp. 23-45. Chapter in R.T. Cross (Ed. 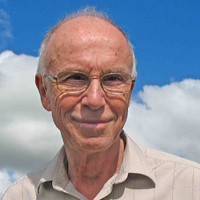 ), A Vision for Science Education: Responding to the Work of Peter J. Fensham. (2003). Routledge Press, pp. 59 - 75. Chapter in S. K. Abell & N. G. Lederman (Eds. ), Handbook of Research on Science Education. (2007). Lawrence Erlbaum, pp. 881-911. In C. Linder, L. Östman, D.A. Roberts, & P-O. Wickman (Eds. ), Exploring the Landscape of Scientific Literacy. (2011). Routledge, pp. 28-44. In D. Corrigan, J. Dillon, & R. Gunstone (Eds. ), The Professional Knowledge Base of Science Teaching. (2011). Springer, pp. 107-127. In T.D. Sadler et al. (Eds. ), Socio-Scientific Issues in Science Classroom: Teaching, Learning and Research. (2011). Springer, pp. vii-xi.